The Texas Correctional Association's Susan C. Cranford Memorial Scholarship is awarded to female students pursuing a degree in Criminal Justice. 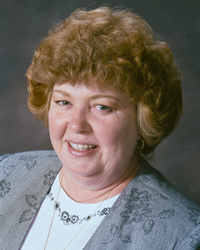 Susan C. Cranford began her career in 1973 as a teacher for the Windham School District. Quickly advancing through the ranks of the Texas Department of Criminal Justice, she became Senior Warden in 1985. Over subsequent years, Ms. Cranford was appointed Deputy Director of the newly-created State Jail Division in October 1994, Director of the Community Justice Assistance Division in April 1996, and in October 2000, Director of the Private Facilities Division of TDCJ. During her nine-year tenure as Warden of the Gatesville Unit, the largest female prison in Texas, Ms. Cranford exemplified leadership and professional competence. Her positive and innovative management resulted in arranging for local colleges to provide on-site, college-level classes to unit employees. Susan was a major influence in providing more opportunity for the Agency’s minority employees, recruiting women for non-traditional positions, and committing passionately to provide the very best programs for women offenders. Ms. Cranford’s attitude touched every element of the Agency for which she was responsible. Under her direction, the Community Justice Assistance Division strengthened its drug treatment programs; increased training for community supervision staff; implemented a system for tracking offender data; improved the method for auditing field offices; revised performance standards; and reworked the Community Justice Plan. As the first Director of the Private Facilities Division, Ms. Cranford directed the successful consolidation of all privately-operated facilities within the Correctional Institutions and Parole Divisions. In 1991, Susan’s exemplary career in corrections was recognized by Governor Ann Richards, who appointed her to the Texas Punishment Standards Commission. Susan’s grasp of the criminal justice infrastructure and first-hand knowledge of problems confronting female offenders resulted in significant revisions to the Texas Penal Code. Throughout her career, she received numerous awards and recognition – Texas Corrections Association’s Administrator of the Year in 1989; the Governor’s Commission for Women in Texas Government Award in 1997; and in 2002, the Outstanding Women in Texas Government Pioneer Spirit Award. In July 2003, Ms. Cranford received the Texas Corrections Associations’ Clarence A. Stevenson Award for lifetime contribution to the field of community corrections. Ms. Cranford’s distinctive and visionary leadership established a role model for women and men in the field of criminal justice. As a mentor, she motivated the Agency‘s future leaders to strive for excellence and realize their potential as executives and managers. Her gallant and indomitable spirit inspired thousands of women throughout the nation; and Susan’s outspoken advocacy and support of women’s issues helped shatter the glass ceiling for women employed in the field, and provided meaningful programming to female offenders. Susan’s deep integrity and extraordinary ability to take the correct action for the right reason set a standard for those working in the Texas criminal justice system. After her career with the Agency, Ms. Cranford further dedicated herself as a consultant to the National Institute of Corrections and provided technical assistance and training throughout the country. As author of several published articles, she further advocated for female offenders and correctional employees. On March 22, 2007, Susan lost her courageous battle with cancer. The Board and her TDCJ family fondly remember Susan’s humor, dazzling smile, and passion for living. Current and future women students accepted into an accredited college or university, community college, or junior college pursuing a degree in criminal justice. The scholarship program is open to students attending or planning to attend a college or university, or a junior or community college. Applicants must be accepted into the program. Scholarships are evaluated according to academic ability, proven dedication to public safety, and financial need. Scholarship applications are judged by the Board of the Texas Corrections Association. The Board may also utilize independent career professionals to assist in determining the award recipient. The scholarship award is in the amount of one thousand dollars ($1000) and will be disbursed to the recipient’s college of choice upon verification of enrollment for the following Fall semester.